What a session we had with this beautiful family of THREE now! When mom and dad reached out to us for a last minute session and we happened to have one available the next day, AND they happened to live within walking distance from us, their Los Angeles newborn baby photography session with us was clearly meant to be! We immediately hit it off with this awesome couple, and could have hung out and chatted with them for hours. We always say that one of the best parts of our jobs as newborn photographers, is meeting such cool and fun couples like them. When they walked through our doors the morning of their newborn photo session, I could see they needed a little TLC and rest. That first week home with newborn baby is a trying one- sleep deprivation has set in, mommy is still healing, daddy is running around just trying to do his best to get everything right, and getting into a rhythm for feeding, changing diapers and caring for baby takes some getting used to. Matt and I pride ourselves in taking care of our clients from start to finish- and if that means they need a little nap on the couch, some encouraging words or just a big old hug, that’s what we give them. We honestly love love love connecting with new parents- it’s truly one of the greatest joys of this job. Ok, so enough about the two that made this handsome little guy! 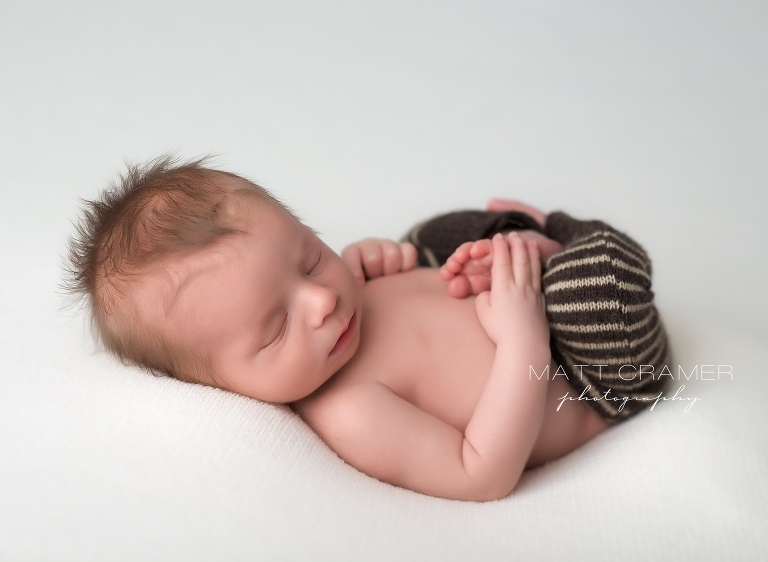 Let’s get to the star of this newborn portrait session! I’m just going to go on record and let everyone know that adorable Baby M completely STOLE my heart! When mom emailed me his birth stats before his newborn session, and included, “Character: Charming as hell”, she wasn’t even kidding! This little guy smirked and made the sweetest baby coo’s as I was posing him, and Matt was able to capture one of those famous smirks, too! In newborn photography, that’s like catching a unicorn people! 🙂 I loved all the different set ups we did with this handsome guy, from a clean white fabric backdrop for his “bare baby” shots to a mix of greys and blues for his prop shots. We were also able to check of one special request each from mom and dad…….Dad brought a “Where the Wild Things Are” crown that I honestly wasn’t quite sure how to incorporate into the session (it was a little big and we don’t normally use outside props), but a little creative thinking, the right angle, and a black binder clip got the job done! Mom really wanted the more stylized and artistic shot of mommy/baby on the cream textured rug, as she had never done any professional artistic photos before….and well, see for yourself below….she NAILED it! We couldn’t be more thrilled for this gorgeous family and we are so happy that they chose us to capture such a special time in their lives. We loved meeting them and I think they liked us too. Shhhh, sleepy baby in sleep pants! 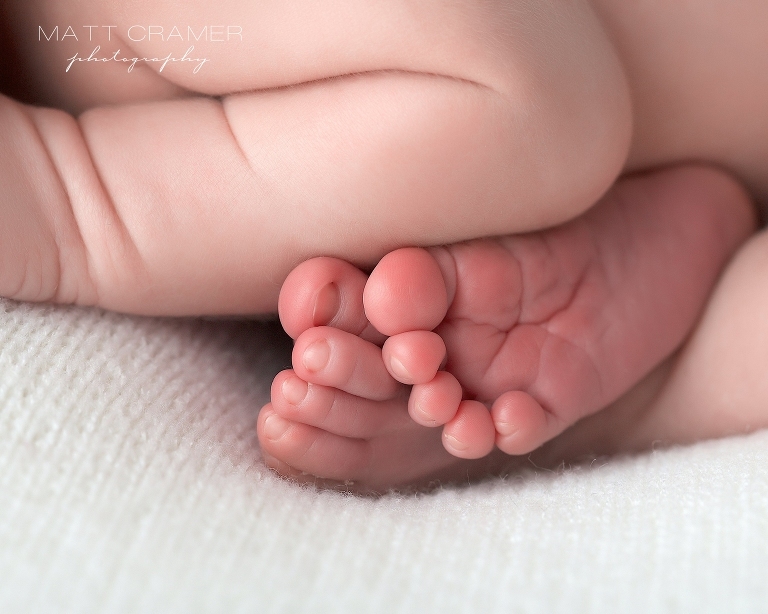 Ten tiny toes….we love capturing these little details for parents! This all white set up is so indicative of this pure newborn time. We love our backdrops from Roses and Ruffles! So handsome in dark grey wrap and our natural driftwood bowl. Smirky smile #2 in his knit sleep hat from LukeOWL Llily! Oh hello there handsome. We caught an awake shot! All swaddled up in a Cloth Apothecary cheesecloth wrap! Those little lips. A must for the details! I loved this set up in light grey blue and lighter barn wood floor! We love this textured burlap under our props from Cherry Blossom Tale. 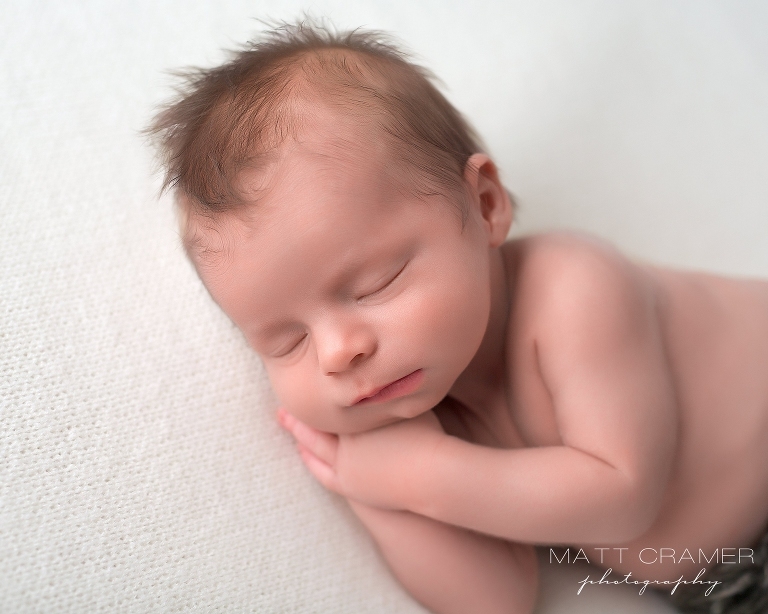 Love the close ups in our Los Angles Newborn Baby Photography sessions! Gorgeous, gorgeous mama and her new little love! Mom is wearing one of the beautiful gowns we have here at the studio. Mama’s smile! She is just smitten with her little guy. Cheek to cheek with her sweet boy. Mom is wearing one of the beautiful cream lace accented tops that we provide here at the studio. Their first portrait as a family of three. It’s easy to see what wonderful parents they already are to their new little love. I love this Dad and baby shot! Kiss from Daddy at the end of this Los Angeles newborn baby photo session!